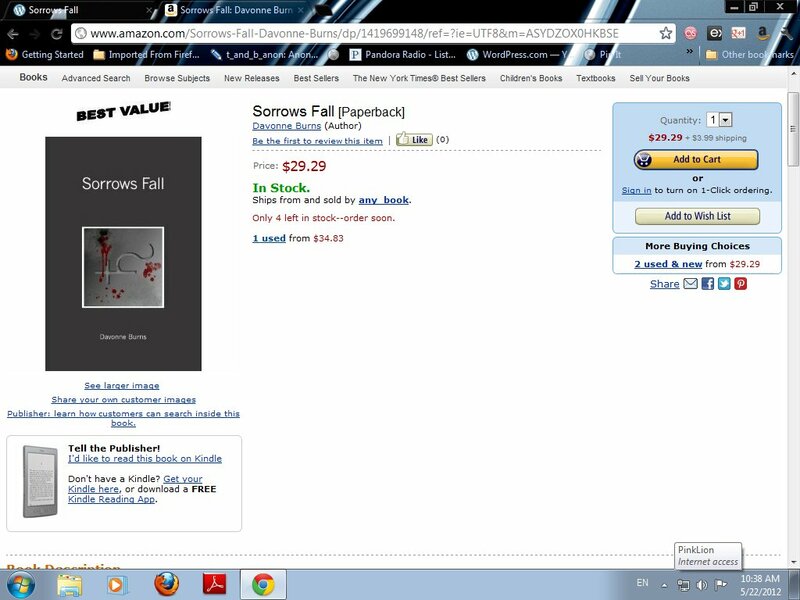 I found the above this morning while checking on my links from various places I try to promote Sorrow’s Fall. I honestly don’t know how to react to this. Brand new copies sell for $7.95 so why is a used copy being sold for so much. It’s not like I’m well known or even up and coming. (How I wish.) I certainly hope no one buys a copy for this price.